Today Microway announced a new line of servers designed for GPU and storage density. As part of the announcement, the company’s new OctoPuter GPU servers pack 34 TFLOPS of computing power when paired with up to up to eight NVIDIA Tesla K40 GPU accelerators. NVIDIA GPU accelerators offer the fastest parallel processing power available, but this requires high-speed access to the data. Microway’s newest GPU computing solutions ensure that large amounts of source data are retained in the same server as a high-density of Tesla GPUs. The result is faster application performance by avoiding the bottleneck of data retrieval from network storage,” said Stephen Fried, CTO of Microway. 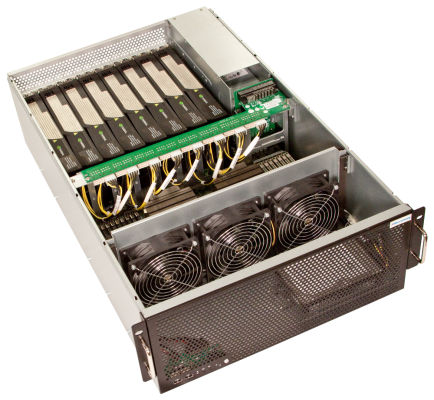 Microway also introduced an additional NumberSmasher 1U GPU server housing up to three NVIDIA Tesla K40 GPU accelerators. With nearly 13 TFLOPS of computing power, the NumberSmasher includes up to 512GB of memory, 24 x86 compute cores, hardware RAID, and optional InfiniBand.